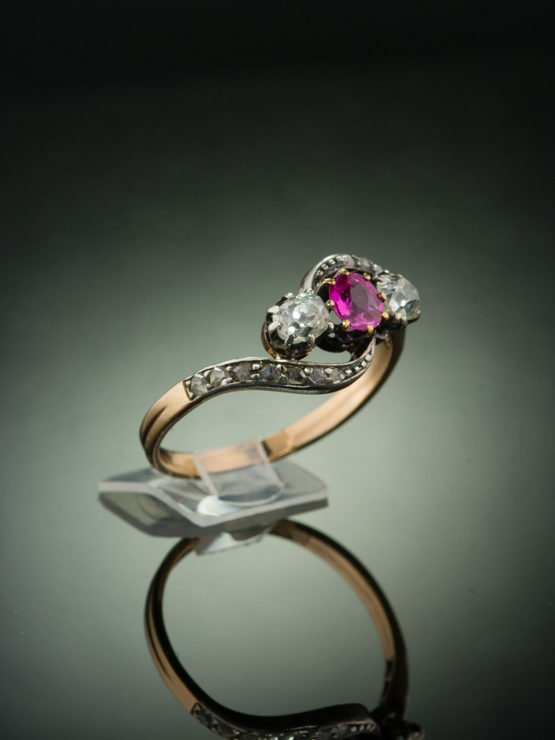 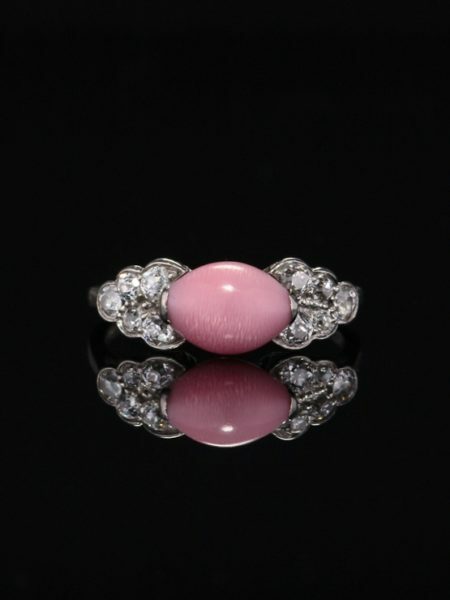 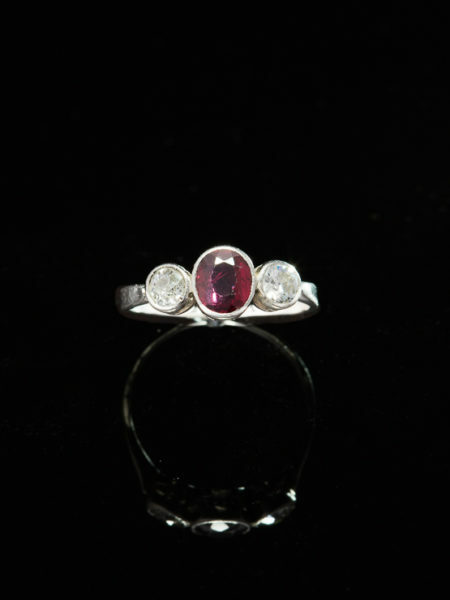 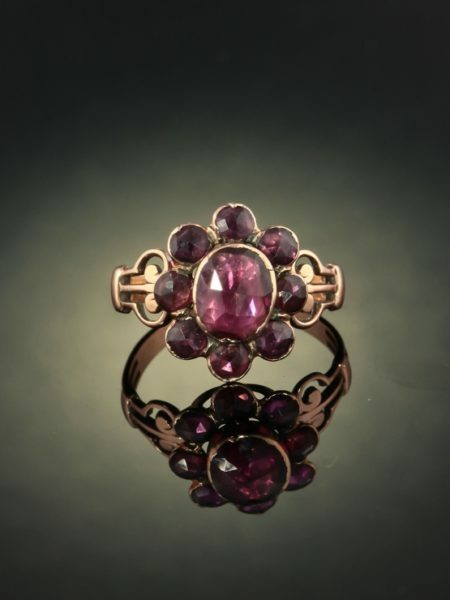 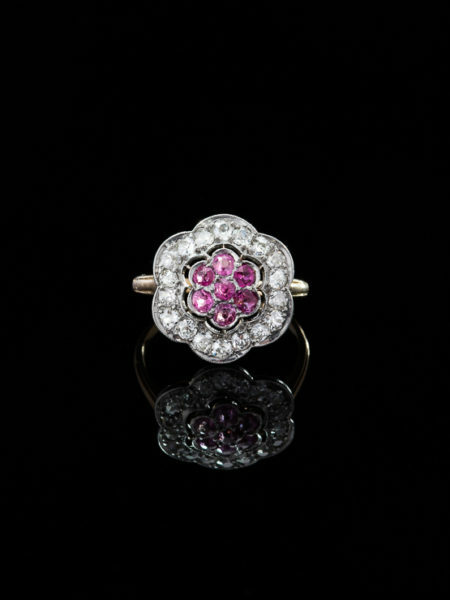 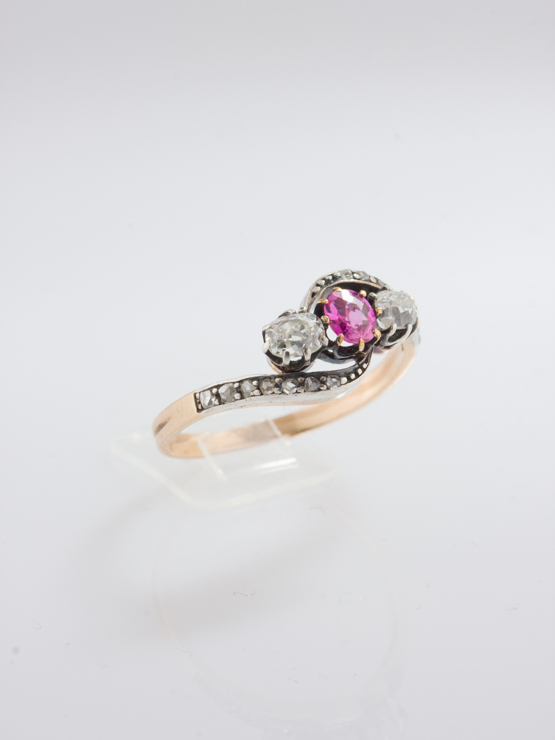 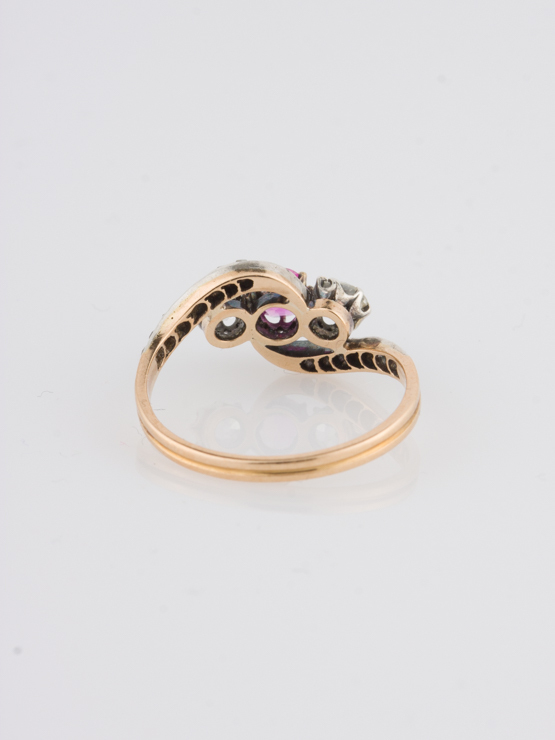 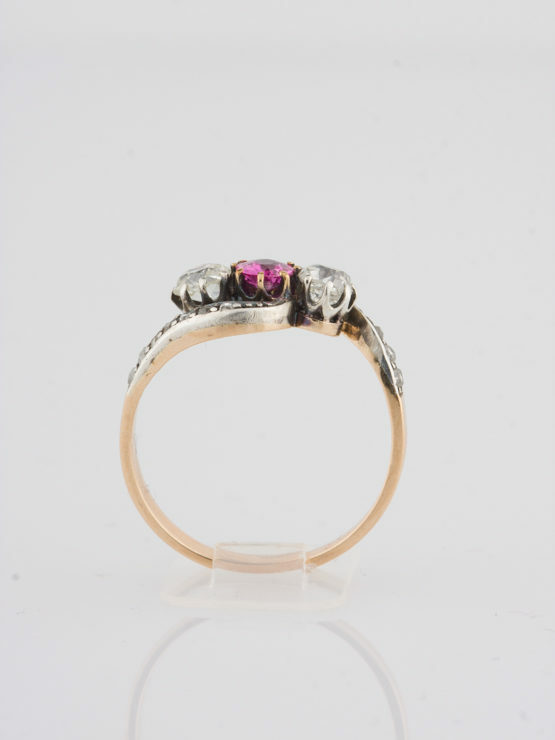 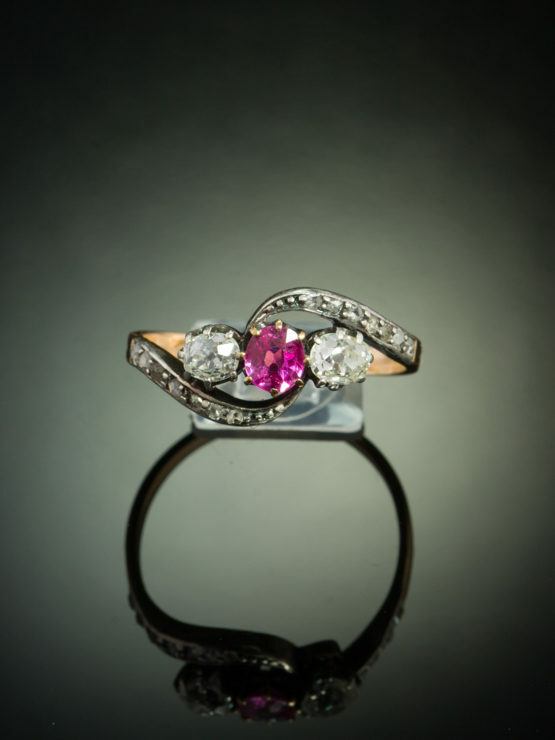 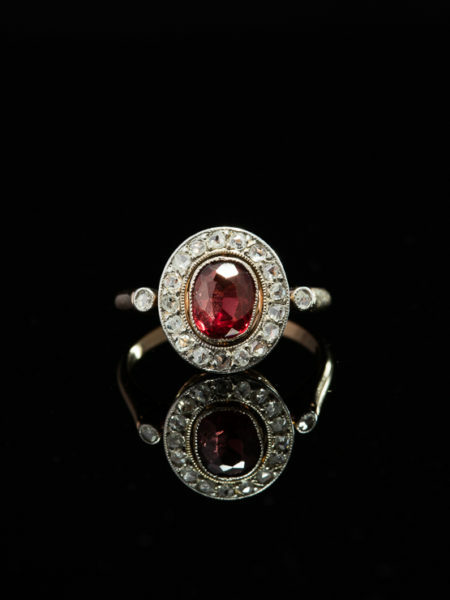 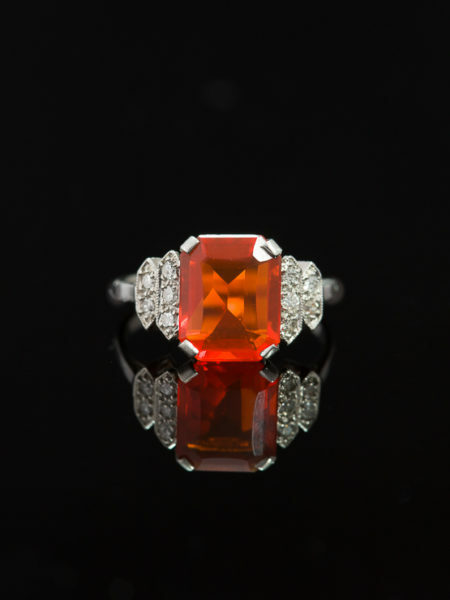 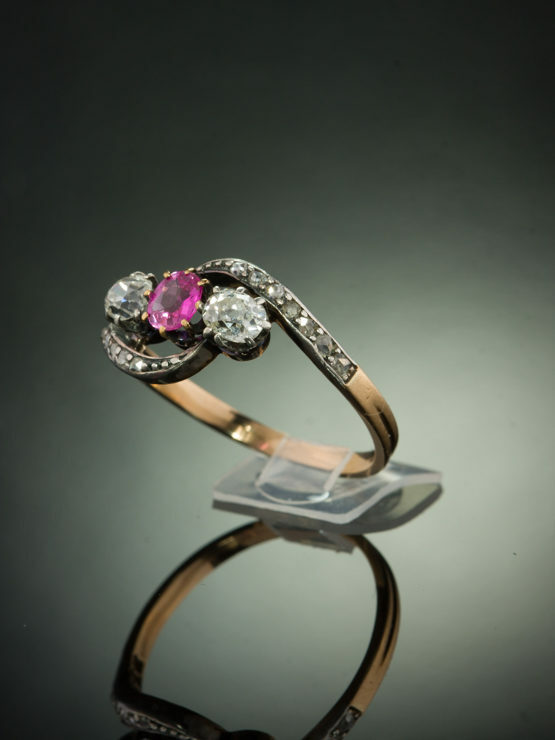 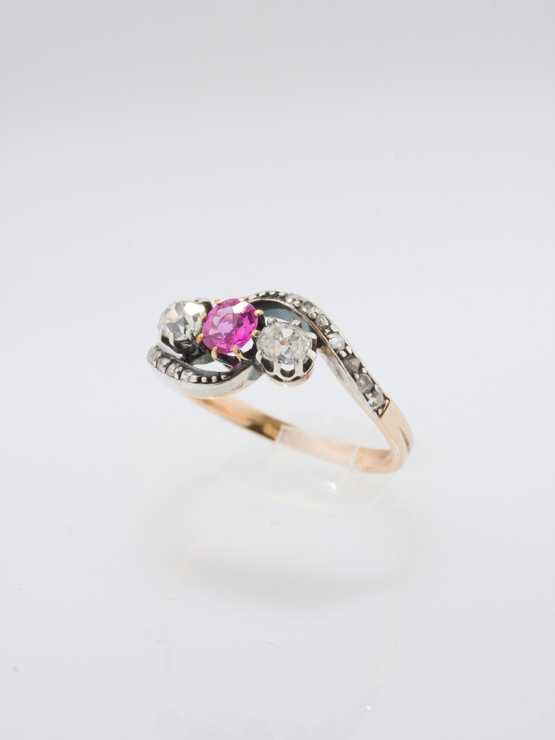 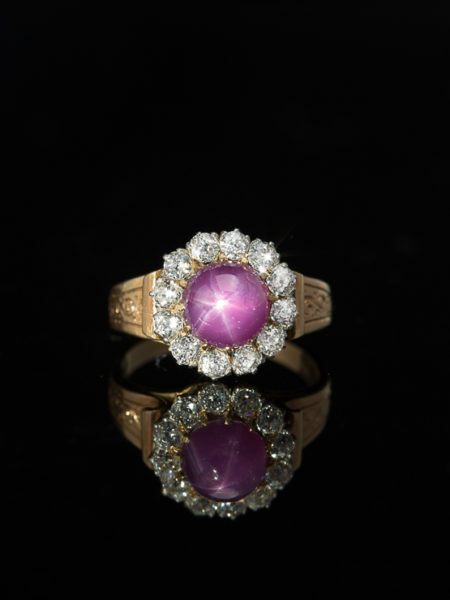 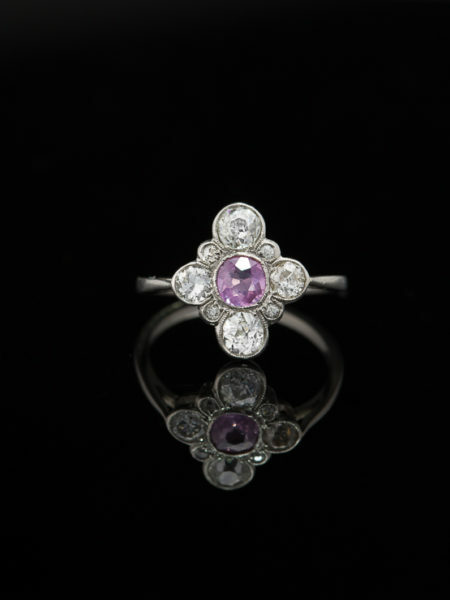 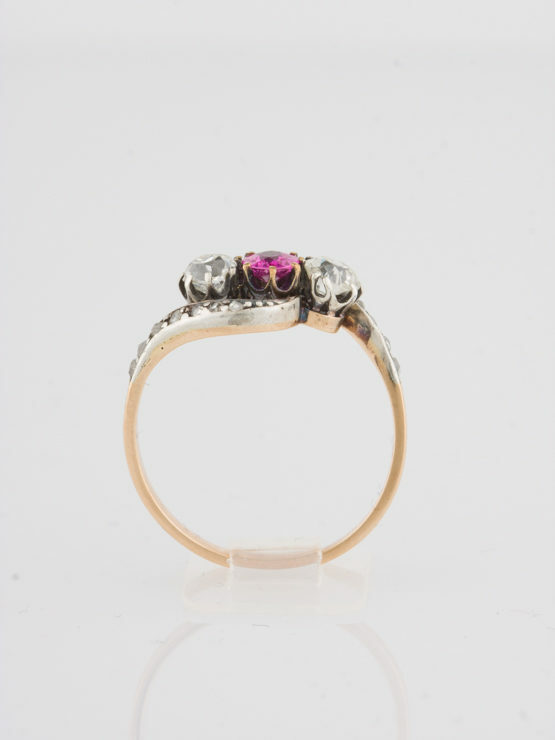 Portends of Art Nouveau design fluorish in this evocative and sensuous natural ruby and diamond ring. 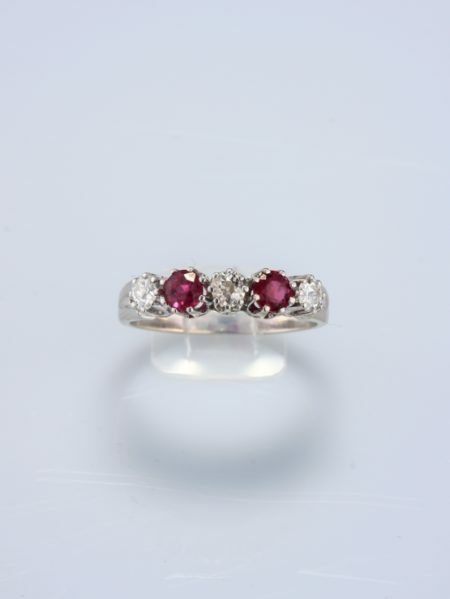 Paint a pretty picture of a bouquet of blossoms both red and white with this Art Nouveau natural ruby and diamond crossover ring. 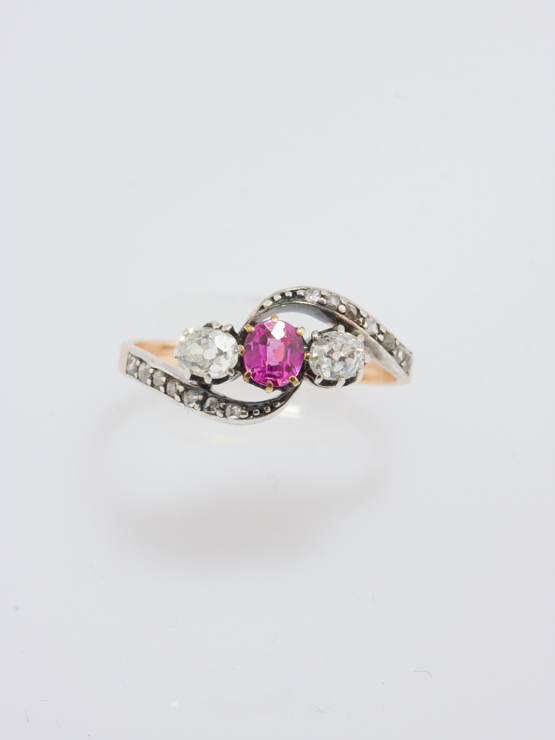 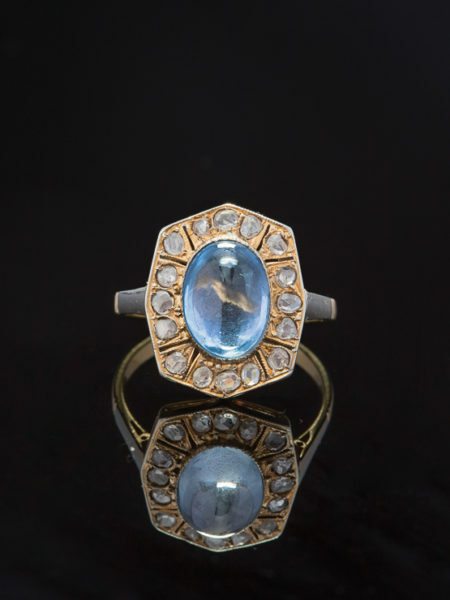 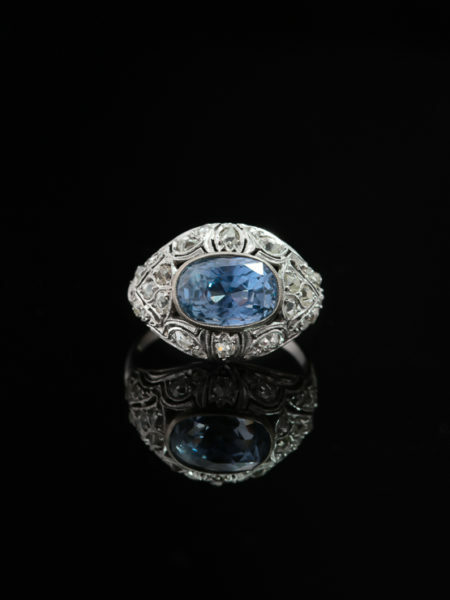 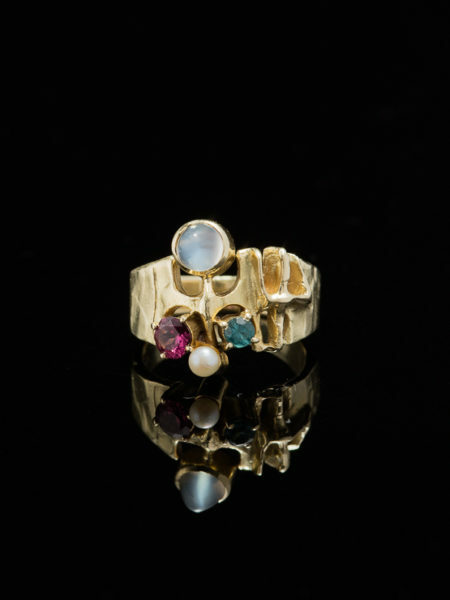 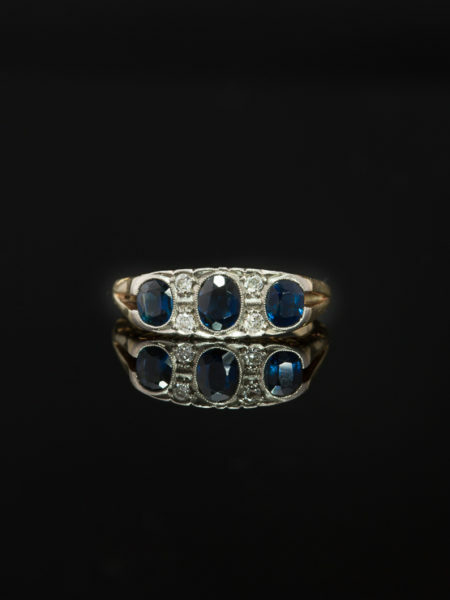 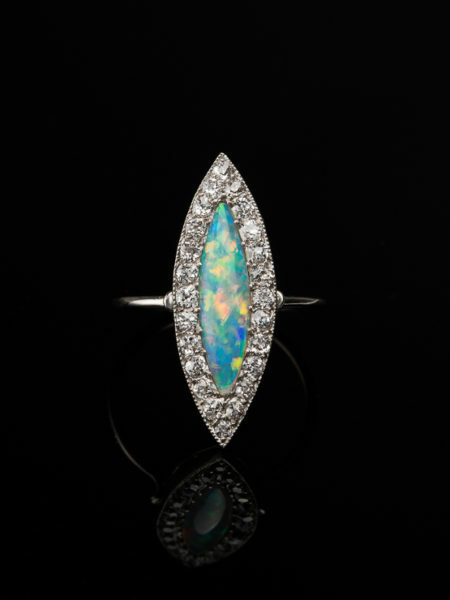 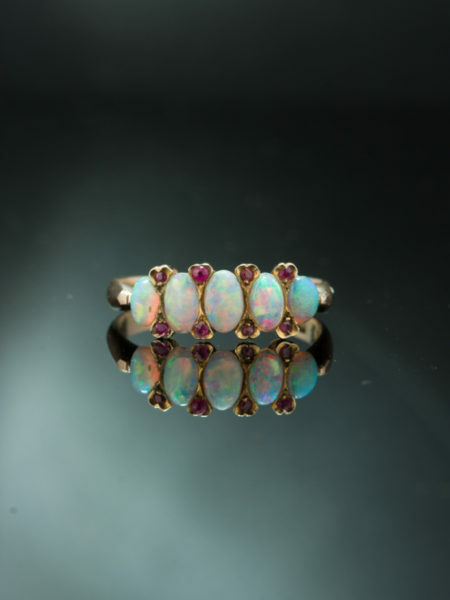 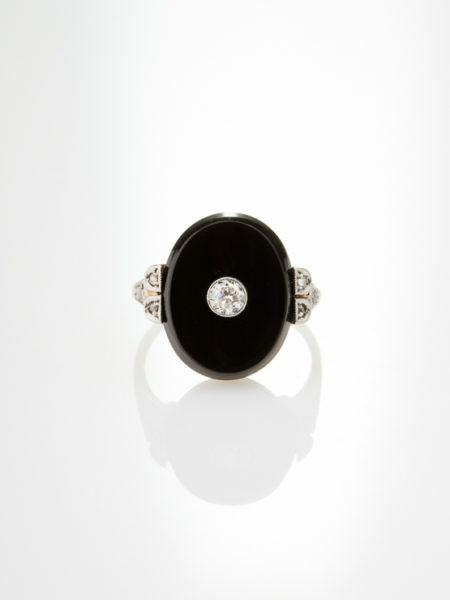 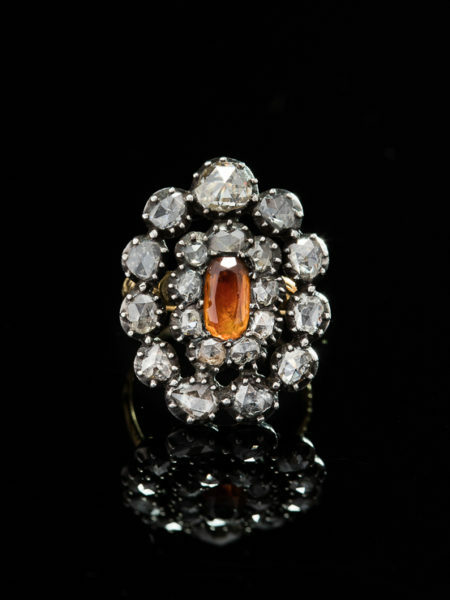 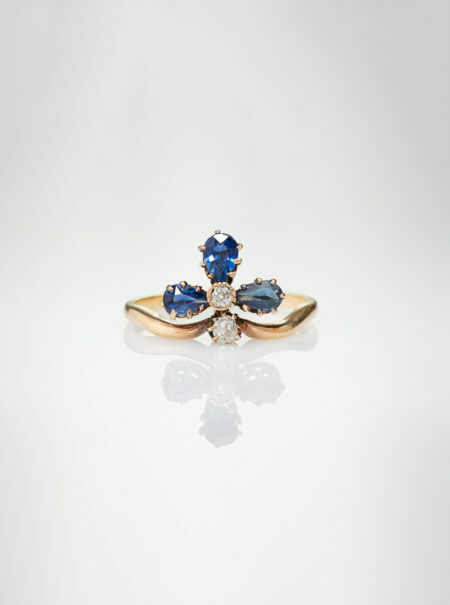 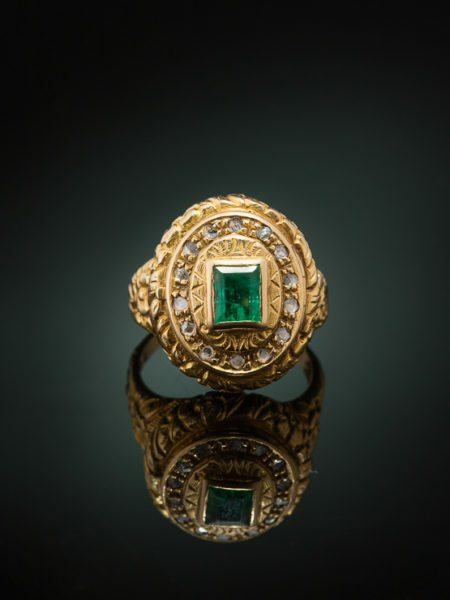 A trio of gems and sparkling swoop draws the eye towards a sweet antique ring. 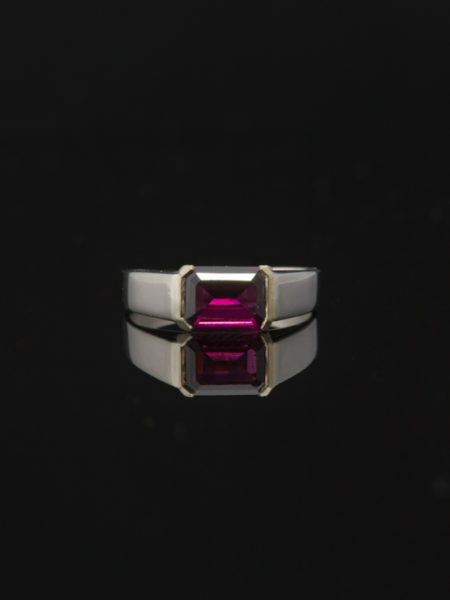 Centering is an oval cut natural ruby glowing with an hot pink hue of approx .36 Ct set on prong mounting richness and warmth are enhanced by its proximity to bright diamonds on sides. 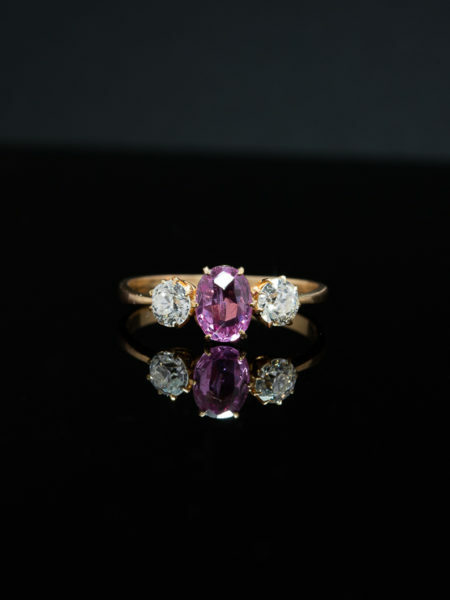 Two oval shape old mine cut diamonds flanking the ruby sparkling with approx .60 Ct of pure light and brilliance beautifully contrasting in colour. 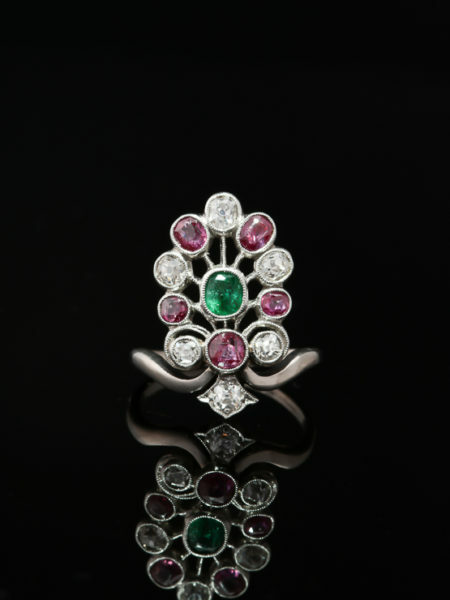 Fourteen rose cut diamonds set along the sensually curved lines of the mounting totaling approx .21 Ct add to the visual interest already excited by the intense coloration of the ruby. 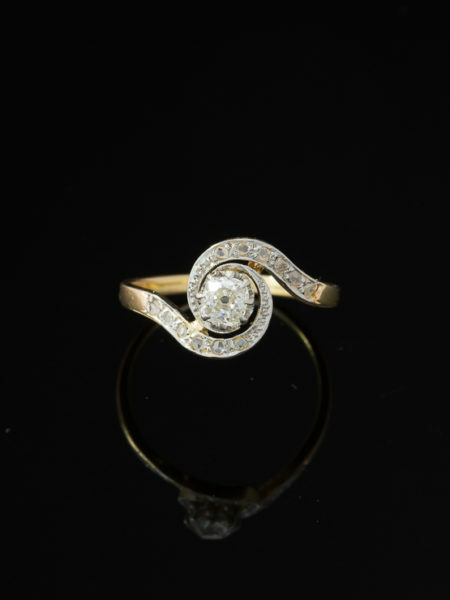 Heavenly and quite graceful in composition, undulates with curves and sensual waves creating an impression of rhythm and flowing image. 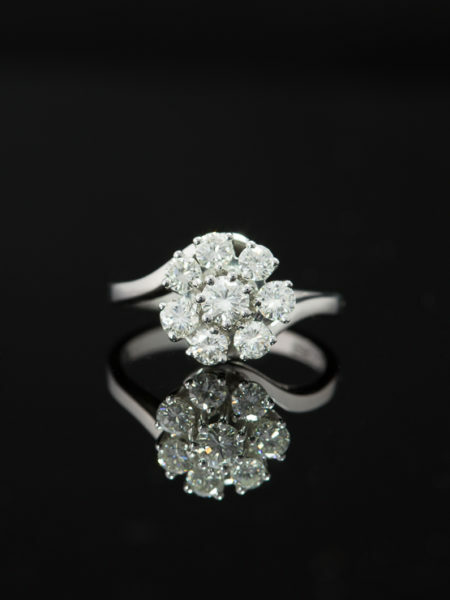 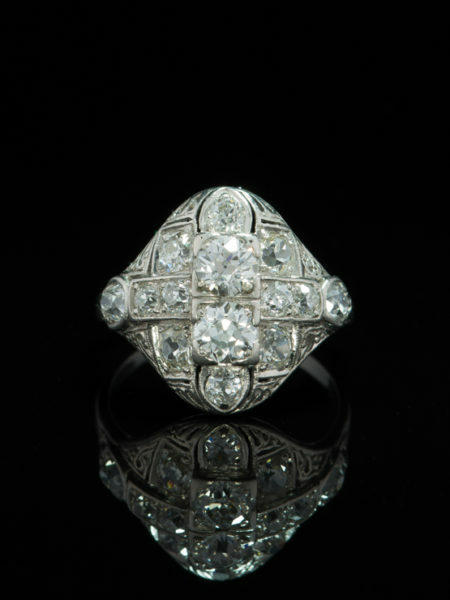 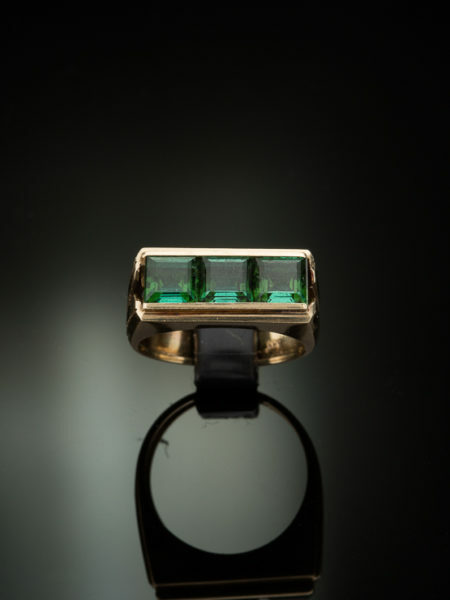 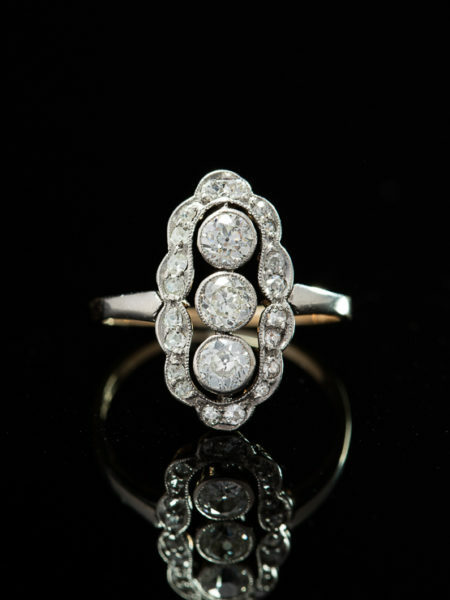 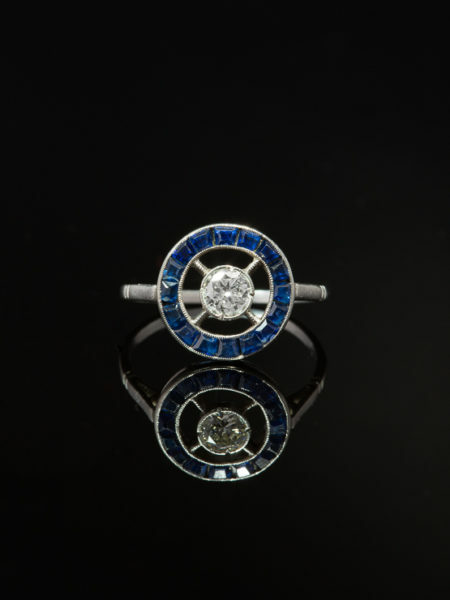 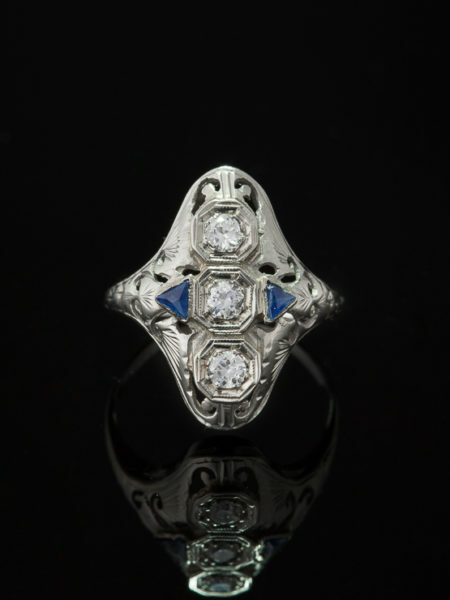 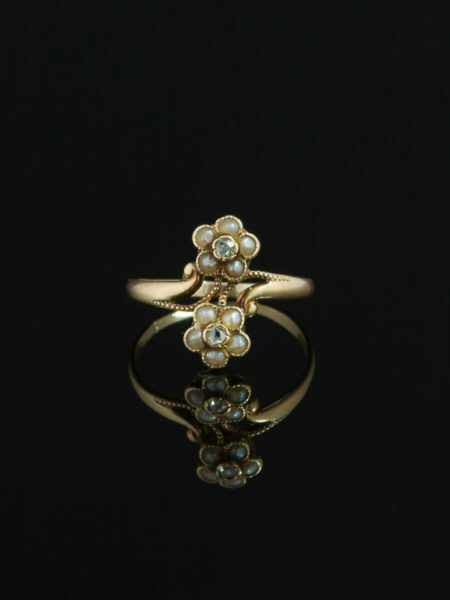 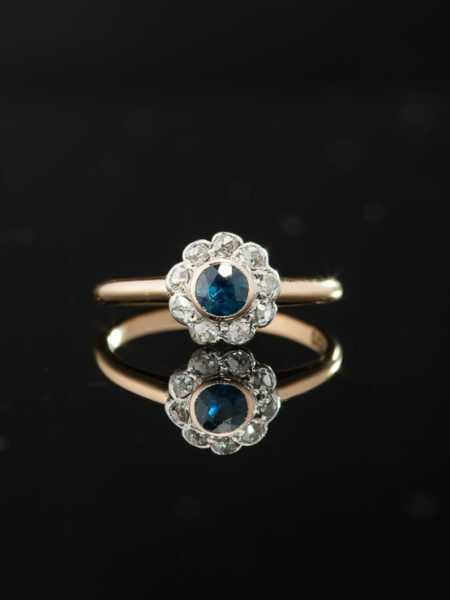 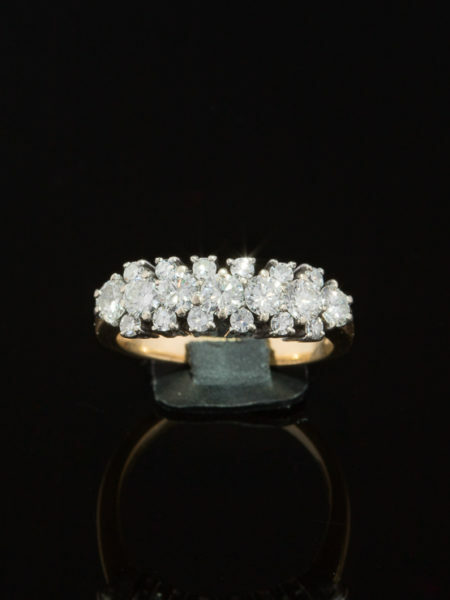 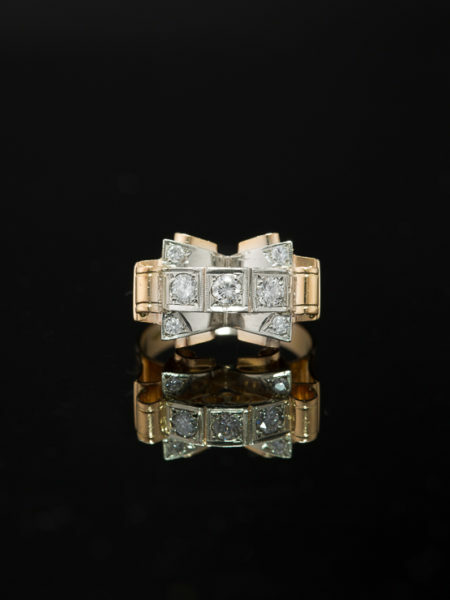 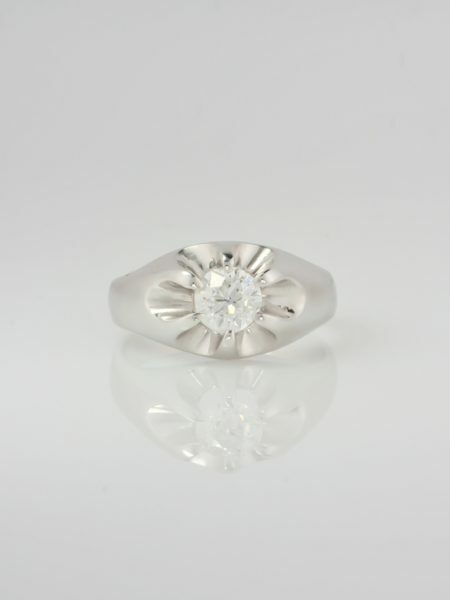 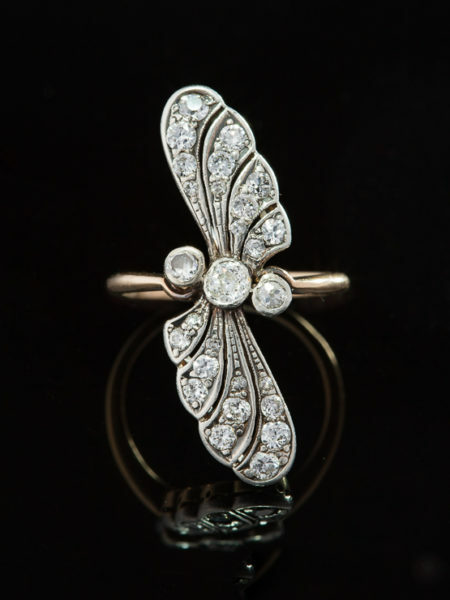 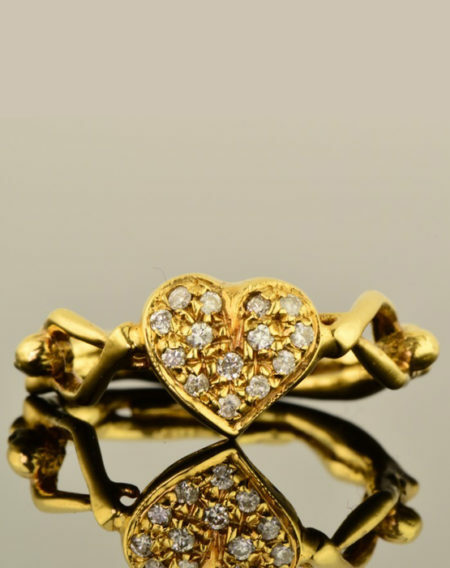 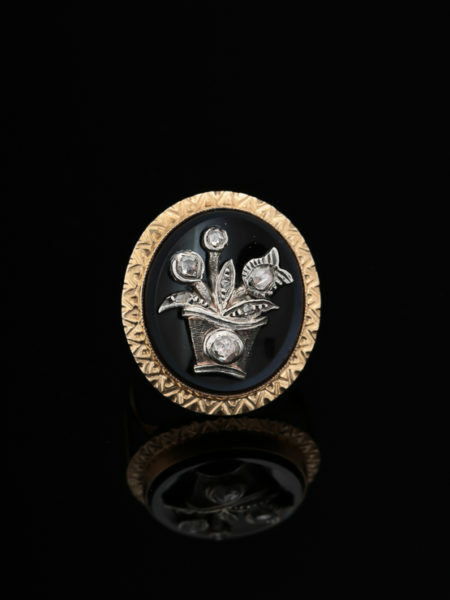 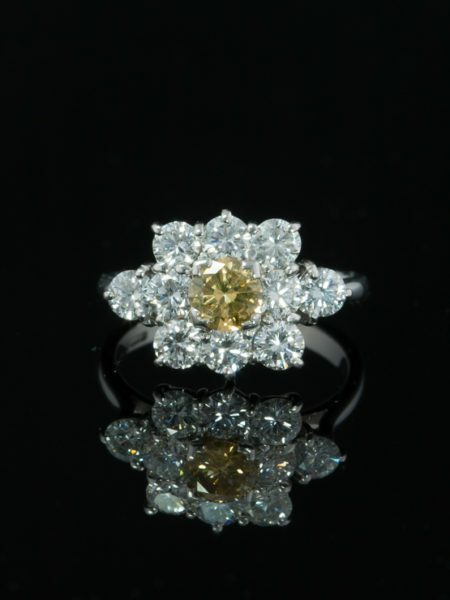 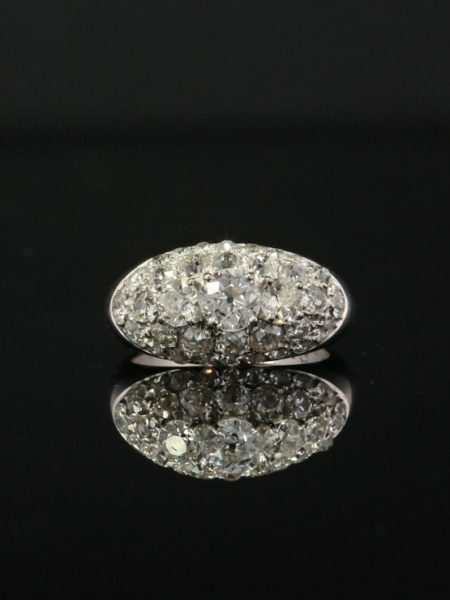 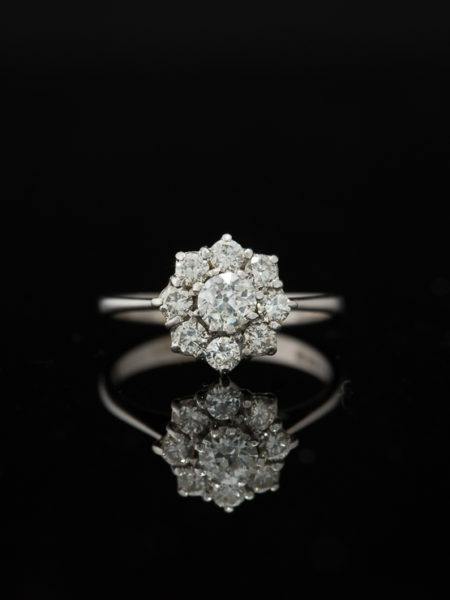 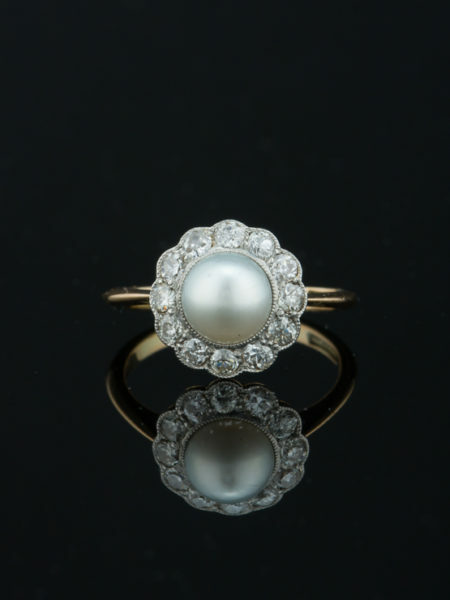 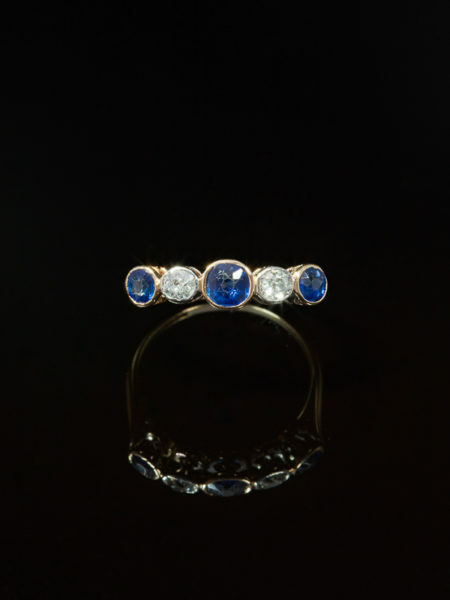 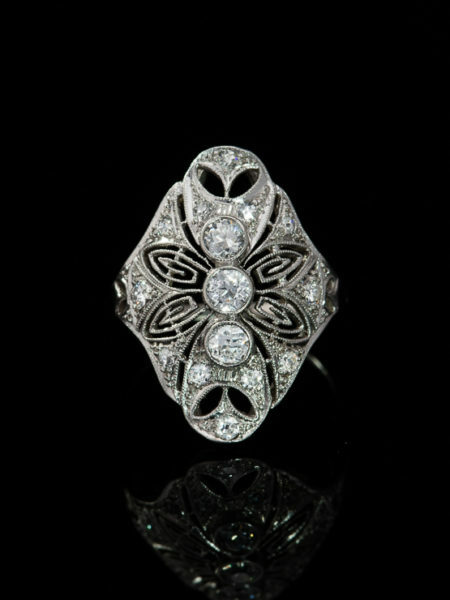 Artfully crafted in 18 Kt yellow gold and silver for diamond housing during Art Nouveau period. 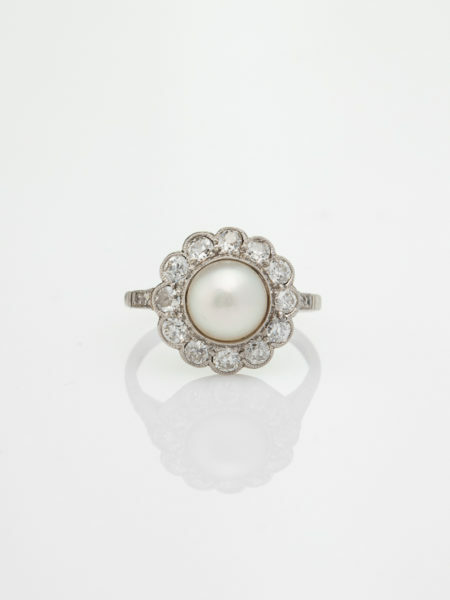 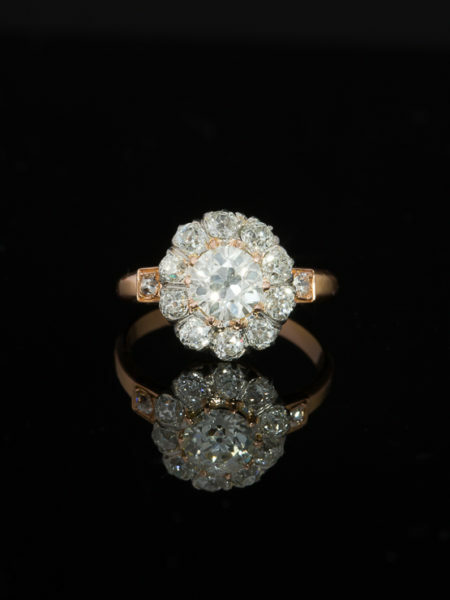 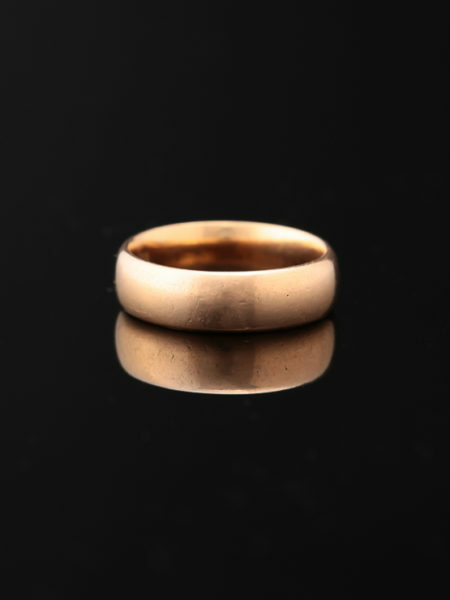 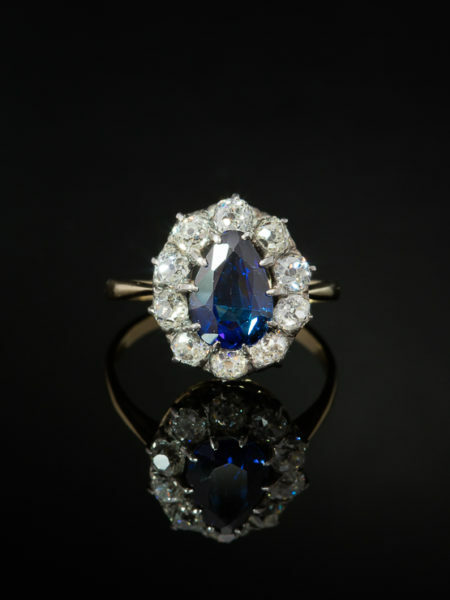 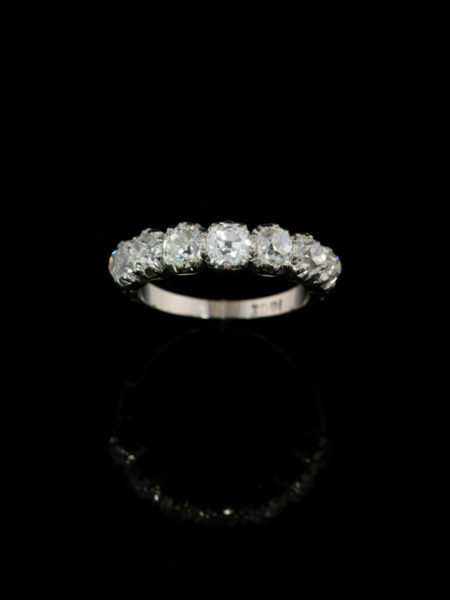 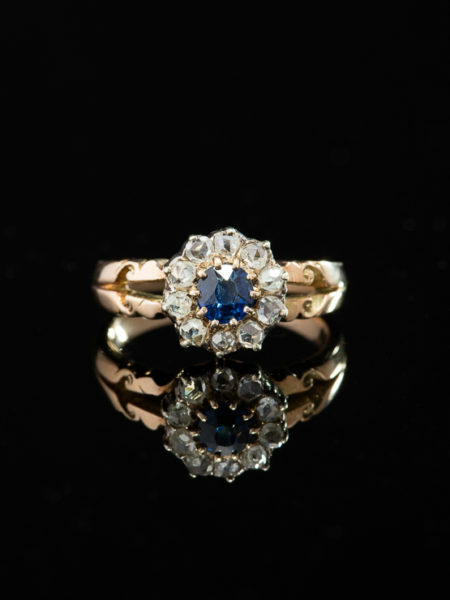 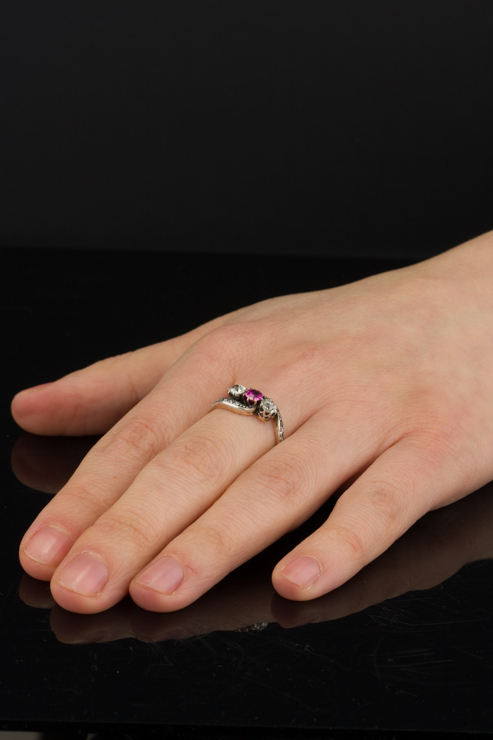 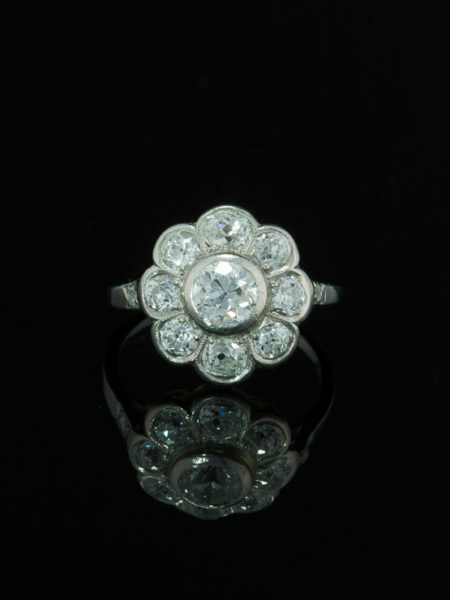 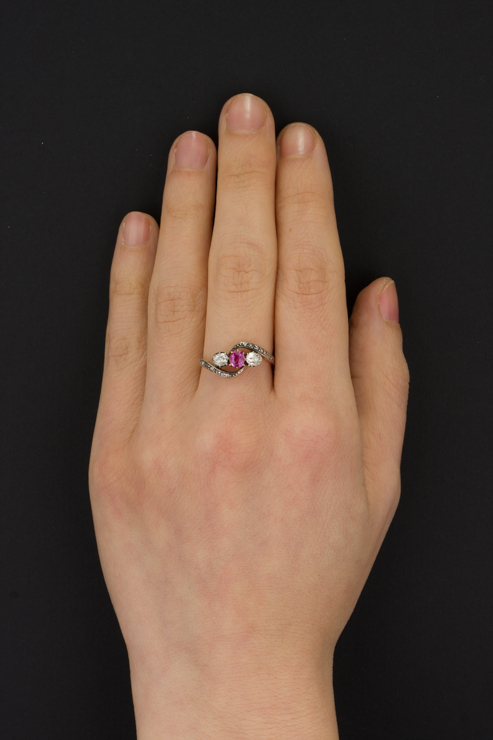 Romantic engagement or anniversary ring, lovely right hand companion.